Let me tell you a sad story about one of my friends. We’ll call him Andy Dufresne. Andy, like most adults, has built himself a prison. Young and ambitious he set out to make a lot of money. He opened a business. Sunk a ton of money into it. He began working more and more hours just to pay the bills. Then he got married. Bought a big house. Had a couple of kids. Leased out a couple of cars. And somehow started working even more hours to pay even more bills. Now he’s stuck. He grinds. He hustles. And he’s exhausted. He’s gained weight. Lost the spark in his relationship. He’s going through the motions everyday but feels like he’s spinning his wheels and doesn’t see any way out. Worst of all, he won’t listen to anyone’s advice and he won’t ask for help. I don’t want this to happen to you. Fortunately, you’re not as stubborn as him. But you might be just as stuck. One of the big reasons is that you might be focused on the wrong things. Maybe you’ve invested thousands of dollars and hundreds of hours into unimportant minutiae that might seem like a good idea, but ultimately does very little to move the needle forward in your business and create the growth you desire. For example, Andy, who owns a gym, thought that adding an expensive cryotherapy machine would solve all of his problems. Of course, it didn’t, and it just added to his mounting bills and business woes. Today we’re going to make sure that you don’t make the same mistakes. I’m going to share five critical growth levers that you can use to grow your business and your profits while working less. These strategies have worked for me and hundreds of my clients and–if you apply them–will work for you too. Whether you like it or not growing your business (not to mention you life) becomes easier once you’ve achieved some level of celebrity within your world and industry. Sure, you might struggle to make it through the airport or your local Whole Foods unnoticed, but the positive elements of fame far outweigh the occasional run-in with the entrepreneurial paparazzi. But the question remains, how do you manufacture celebrity through your social media accounts and other online profiles? Outside of buying fame (which I’ll leave for another essay), there are two key tactics that myself and many of my clients have used to successfully build a “cult following” online. Far and away the simplest method to increase your fame is to spend time with other famous people. Although this might sound “impossible” to many of you, it’s important to remember that in 2019, fame is relative. If you have 1,000 followers on your Instagram profile, then spending time (and getting pictures) with someone who has 5,000 is more than enough to “borrow fame” and grow your following. If YouTube is your main focus right now and you’re stuck at 5,000 subscribers, then meet up with an influencer who has 25,000 subscribers and record a short in-person interview with them and then ask them to share the link with their audience. If you use blogging and SEO to drive traffic to your offers, then buy one of their programs and write up an in-depth positive review on your site and ask them to share it with their list. If you have to, then offer to volunteer at another influencer’s event and get pictures and build relationships with every influencer and “celebrity” that attends. The bottom line is that borrowing fame doesn’t have to be complicated. With a little ingenuity and a willingness to think outside the box, you can quickly establish yourself as a trusted authority and grow your brand to new heights. For example, I recently pulled my mentee Jason Capital aside and filmed a testimonial for one of his programs knowing that his audience of more than 100,000 people would see me on video and that many of them would then follow me and become paying customers. He received a killer endorsement and I “borrowed” some of his fame. It was a win/win for both of us and an easy tactic that you can use to increase your fame. You already create tons of content. Is it truly killer content? Like ‘John Wick after you killed his dog’ level killer? I have no doubt that you are regularly posting good and valuable content. But in 2019 ‘good’ is no longer sufficient to make real money and build celebrity. No… Your content needs to be spectacular. Most experts and online gurus that I encounter are great at incorporating one or two of these components, but they rarely–if ever–create content that hits all three. Luckily, I’ve been working on a super-secret system to help you create assassin level content like clockwork. All it requires is a 5×5 grid and a little creativity. To rapidly grow your business, scale your profits, and create high levels of celebrity within your circles, you must create content that motivates, inspires, and compels people to take action. And the fastest way to accomplish this goal is with my 5×5 “killer content grid”. It can be used on any medium or platform. Whether you need ideas for your podcast, blog, YouTube, or social media, this 5×5 grid will give you everything you need to create an endless stream of actionable and shareable content for the people who need it most. First, you’re going to draw a 5×5 grid on a piece of paper and brainstorm the five most important topics, lessons, or strategies that you’re always teaching or the five questions that you are asked most frequently. For example, I recently helped one of my clients, a Naturopathic Doctor that specializes in skin care/acne reduction, with this process. Once you have determined your top five lessons, you’re going to brainstorm the five most impactful ways that you can teach this content. Next, you’re going to plug your five hot topics across the top of the grid and the five best ways to share that content on the side of the grid and then insert a little note about your content into the remaining grid boxes. For example: “A fun fact about how __% of people get breakouts when they eat xyz food… and here’s what to do instead”. If you complete this exercise at the beginning of every month (it should take less than 15 minutes) you’ll have 25 ideas for unique and highly valuable content that you can share with your audience to more effectively build your brand, manufacture celebrity, and grow your profits. Take a look at the biggest influencers in the entrepreneurial space right now. Guys like Gary Vee, Grant Cardone, Tim Ferriss, and Ed Mylett. They have all created compelling and highly polarizing brands to support their businesses. And in 2019, there’s no faster way to grow your business than to establish your brand story and create a movement behind your product or service. Your brand’s story must enable your clients to feel superior, elite (or contrarian), and connected to something much more intangible–yet much more visceral–than your product or service. 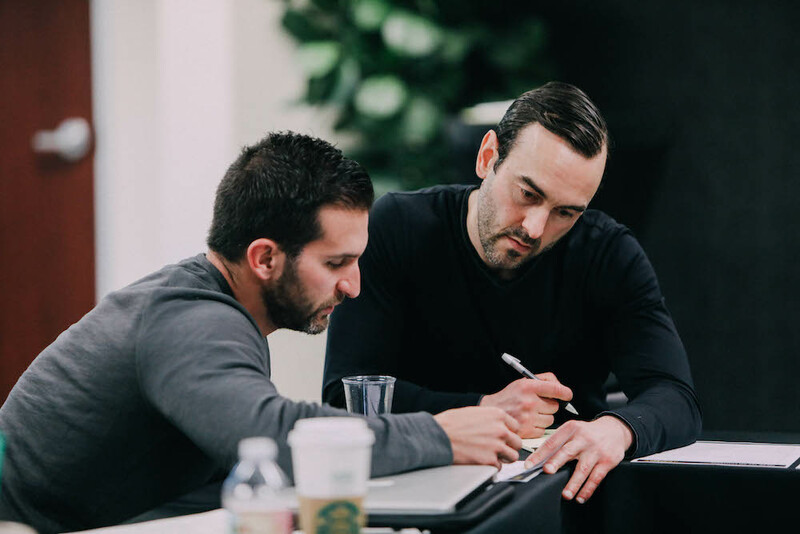 In my business, clients get to brag about working with “THE’ Craig Ballantyne, best-selling author, co-host of the Empire Podcast, and creator of Turbulence Training. They’re buying an association with Greg and, by extension, they’re buying into the dream that they can become “cool” like Greg. Never forget that you and your business are just as constrained by the laws of human nature as anything else. People don’t just want to buy a product or a service, they want to buy an experience… a movement. Are you the “cool guy” like Greg or my friend John Romaniello? Are you the “contrarian” like Mark Manson or Tim Ferriss? Are you the “hustler” like Gary Vee or Grant Cardone? Or are you something else entirely? I’m going to tell you something you might not want to hear. If you are serious about creating explosive growth in your business in 2019 and beyond, then you need to remember that you can’t do it by yourself. And what’s more? You don’t need to. If you’re making 6-figures in your business and you don’t have an assistant, you are flushing 15-20 hours of highly productive, profit focused time down the drain each week. You, as the business owner or CEO do NOT need to waste your time on curating analytics, optimizing WordPress plugins, updating software, scheduling meetings, uploading content, or fixing technical issues with your product deliverability. I know that some of you might balk at the idea of spending $1,000 to $2,000 a month for a full time assistant but I can tell you from personal experience, it’s one of the best investments you’ll ever make. If your time is worth $100 an hour and you waste 60-minutes doing an $8/hour job, you have just lost $92. However, if you bite the bullet and outsource the ‘necessary evils’ from your schedule, focusing all of your time and attention on profit-centric activities, you are earning those same $92 dollars (and potentially more) back. So if you genuinely don’t have the funds to delegate your administrative work to someone else full-time–or you simply want to test the waters of delegation and automation before hiring a new employee–you can do what my client Zander Fryer did and get those dirty deeds done cheaply using Upwork.com. For example, Zander was able to have an entire WordPress website built for less than $300, receive a professional logo for only $200, and get numerous ebooks and banners created for less than $50. If you decide to go the Upwork route, be sure to always go through client reviews and the past work of each contractor to ensure that they are able to provide you with the service you need. Finally, be sure to communicate your specific needs to the provider before submitting a payment so that they understand and are able to meet your expectations, outcomes, and timeline. (Note: Since many Upwork service providers are not native English speakers, be sure to spell out what you need in clear and concise terms and communicate heavily before you get started). As counterintuitive as it might sound, one of the most important things you can do to create explosive growth in your career or business is to step back and take time away from it. As an entrepreneur or high-performer, it’s easy to get sucked into the 24/7 grind. Simply put, work never stops. There’s always something that needs to be done, a fire that needs to be put out, a product that needs created, or an employee that needs trained. But you cannot effectively take care of your customers and employees if you don’t take care of yourself. Burnout is a very real struggle for many entrepreneurs and if you aren’t conscious of your energy levels and personal needs, you’ll quickly run yourself into the ground, damaging your output and productivity for months (if not longer). No matter where you are in your businesses growth cycle, you must prioritize personal time and time with your family. Whether this means taking one day off a week to spend outside, getting a massage, or investing quality time with your family for a few hours each night, you must be as intentional about your rest and recovery as you are about your hustle. Step back and give yourself time to recover. It will be one of the best investments that you ever make.